On Sunday, the British tabloid The Daily Express made headlines the world over with its report that Internet meme sensation Grumpy Cat (née Tardar Sauce) had earned approximately $100 million since fall of 2012, when a picture on Reddit kicked of a whirlwind transformation that quickly turned a then-unassuming household cat into an established Internet celebrity. While Tabatha Bundesen, Grumpy Cat's owner, has since called The Daily Express report "completely inaccurate" (she declined to reveal her cat's actual earnings) it's safe to assume that frown-y feline has amassed a small fortune. After all, the past couple years have been insanely busy ones for Grumpy Cat: There's the line of licensed merchandise, two books, and a just-released Lifetime TV movie (Grumpy Cat's Worst Christmas Ever), plus frequent appearances on talk shows, including The Today Show and Good Morning America. From its inception, the Internet was made for the ogling of cute animals. That part hasn't changed, but just as with human YouTube stars, over the past few years a burgeoning rank of pet A-listers has begun to emerge out of the endless sea of no-name (if adorable) kittens/dogs/guinea pigs, etc. prancing it up on social media. Grumpy Cat's manager Ben Lashes -- who has made a career out of managing famous cats (other clients include Keyboard Cat and Nyan Cat) – recently made this human celebrity comparison explicit, telling Spin: "These cats will be respected like real-pop cultural icons and that's cool." Starting with Grumpy Cat (the Justin Bieber of the bunch? ), here are five animal social media sensations who have managed to translate online fame into offline deals. 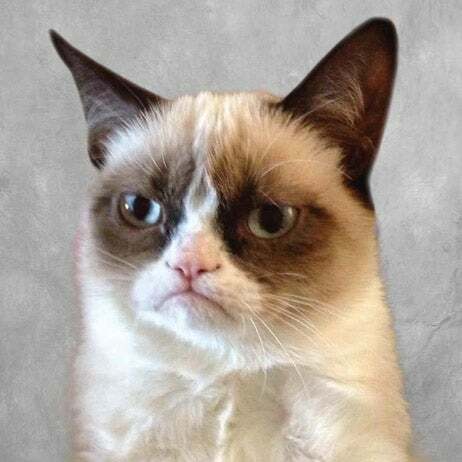 Grumpy Cat's permanently unimpressed expression can be attributed to the fact that she was born with feline dwarfism, which gives her a noticeable underbite. For now, we don't know exactly how much Grumpy Cat has racked up over the past couple years, but even if it's not $100 million, it's definitely up there. i.e. 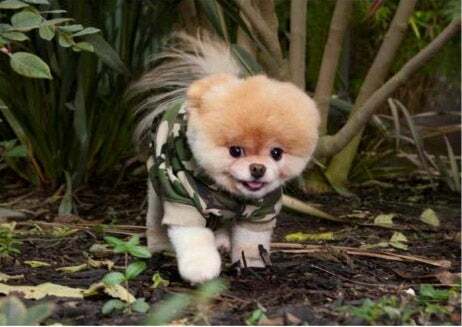 "the world's cutest dog," Boo is a little Pomeranian with a very fluffy head who, along with his best friend Buddy, has managed to enchant The Entire Internet with his awwww-inspiring antics. Multiple licensing deals, including with Australian shoe-manufacturer Crocs (Boo Crocs), the Bentex Group (Boo swimsuits), Department 56 (Boo novelty items, including holiday ornaments, mugs and water globes), and Trends International (Boo posters). 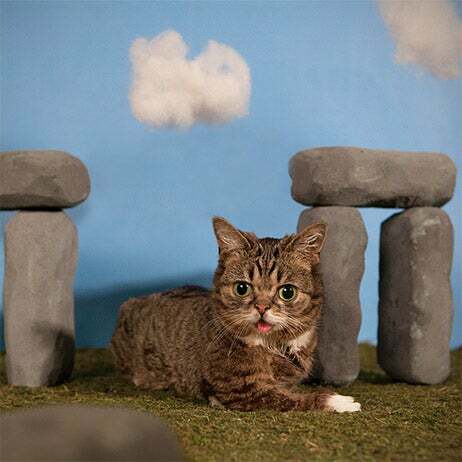 Lil' Bub, the runt of the litter and a rescue, was born with several setbacks, including a bone disorder (for which she takes medication), an extra toe on each foot, an underdeveloped jaw (hence the permanently drooping tongue), and a genetic disorder that makes her a "perma-kitten i.e. she'll stay kitten-sized her entire life. A large percentage of profits from Lil' Bub's merchandise lines goes to animal rescue groups, according to her owner. 1 talk show (in which Lil Bub, with the help of subtitles, interviews guest including Whoopi Goldberg and fellow-animal celebrity Little Prince, a guinea pig). Chris P. Bacon, as you probably guessed, is a pig. He was born without the use of his back legs, and so his owner built him wheel legs out of toys. 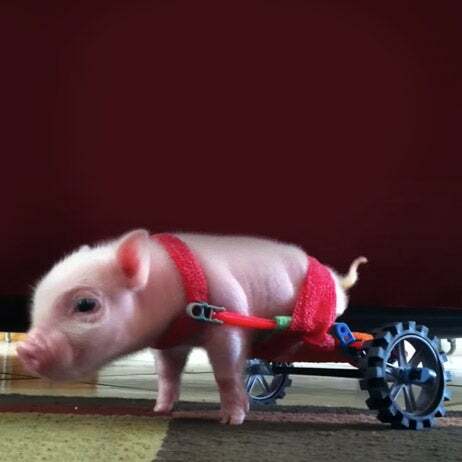 YouTube videos of Chris P. Bacon learning to walk quickly took the Internet by storm. Tuna is a 4 year-old Chiweenie who was found on the side of the road in Los Angeles, and rescued by his current owner. 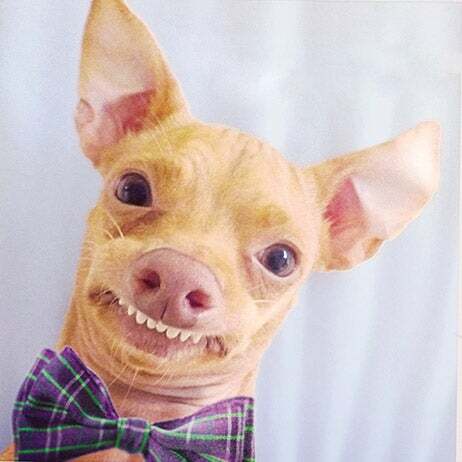 He has a recessed jawline (and thus a noticeable overbite), but instead of holding him back, Tuna's distinctive look charmed Instagram users and made him an Internet celebrity.